I’m the manager of the Office of the Director and Museum Councils at the Getty Museum. I fell in love with performing and storytelling at an early age and received my MFA in Writing for Children and Young Adults from Vermont College of Fine Arts. As a trained puppeteer, I have also taught Puppeteering for Television classes in Los Angeles. I’m a co-author of the Getty Publications’ children’s book Cleo and Cornelius. 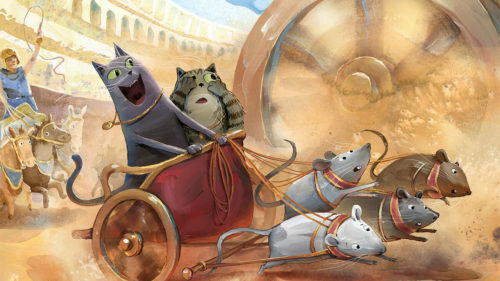 An artist re-envisions the ancient world in a new children's book.